Every city has its “thing” when it comes to fashion. 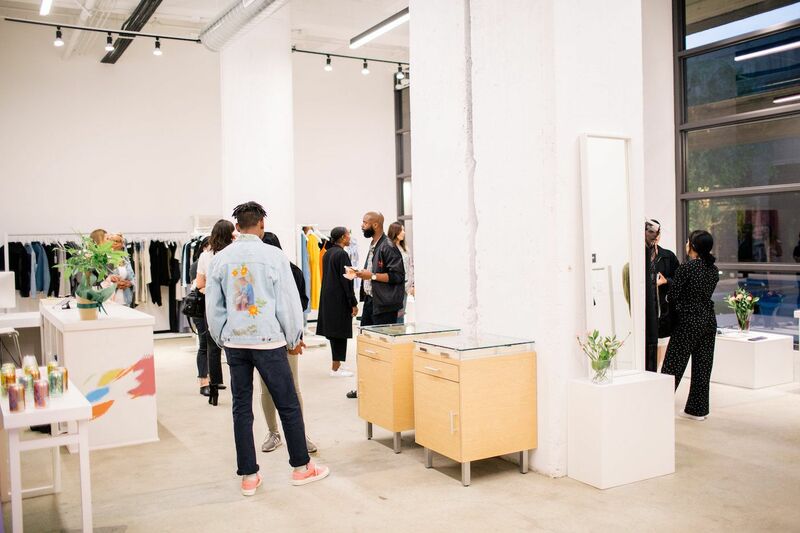 Parisian designers deal in effortless glamour, New York’s the epicenter of individuality and personal expression, while Los Angeles and San Francisco—where so many healthy trends begin—are quickly gaining a reputation as hotbeds of crazy-covetable sustainable fashion labels. Perhaps the best-known of these brands is Reformation, an LA label that launched in 2009 and has since become a staple for cool girls around the globe. (Many of whom likely aren’t even aware that their slip dresses and cropped tees are made using eco-friendly fabrics, in a factory prioritizing fair labor practices.) 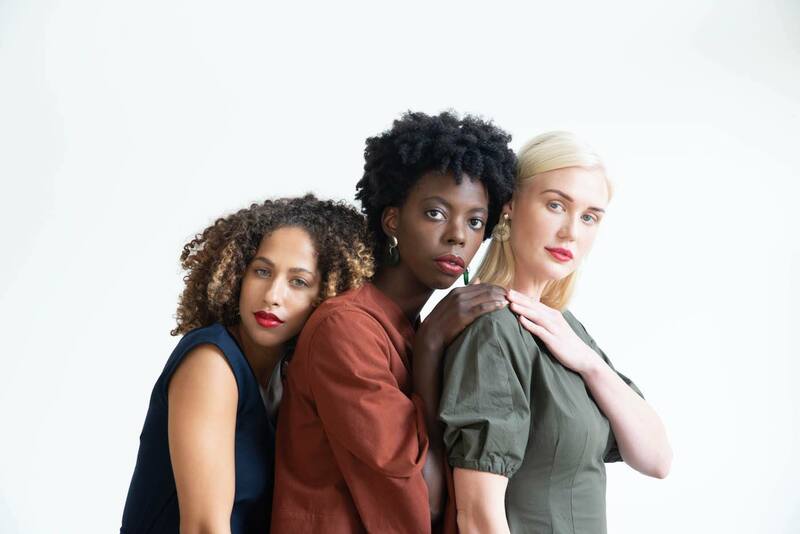 “When I started Reformation 10 years ago, sustainability in fashion was not a priority in the industry,” says founder Yael Aflalo, who says she set out to be “a leader for that change.” And she more than achieved her goal—once she proved that environmentally-friendly, ethical clothing doesn’t have to be boring, tons of other newcomers followed suit. Interestingly enough, many of the ones getting the most attention are based in Reformation’s home city and state. According to Dechel Mckillian, owner of sustainable concept shop Galerie.LA, around 40 percent of the brands she carries are from Los Angeles alone. (The rest are sourced and manufactured around the world, from Lithuania to China.) Scroll through any style-conscious, West Coast wellness influencer’s Insta feed, and you’ll see tags for designers like Christy Dawn, who creates all of her Topanga Canyon-goddess sundresses in limited editions from deadstock fabrics; Lacausa, which supports various environmental and human rights causes with its Eastside-chic kaftans and jumpsuits; and Re/Done, whose oversized denim jackets and high-waisted jeans are repurposed from vintage Levi’s fabric, with an eye on saving water and scrapping harsh chemicals. Even Northern California—not usually considered a style hub, let’s be real—is home to some pretty great sustainable fashion brands. Think Cuyana, whose affordable, artisan-crafted cashmere sweaters and leather handbags are pegged as the antithesis of fast fashion. Or Amour Vert, whose silks and organic cottons are colored with non-toxic dyes. But why is California the epicenter for fashion with a conscience? Let’s investigate. Aflalo says California’s long legacy of environmentalism also leads its residents to prioritize fashion that’s good for the planet. “California has always been a leader in environmental policy and sustainability,” she says. “This is, in part, because a lot of people are connected to our ocean and protecting the natural beauty of our state—and, more recently, because we have witnessed climate change impacts firsthand, like the forest fires this fall.” So it follows that any brand pledging to use natural dyes or save water would have a natural audience out west. And given California’s influence on culture, its resident’s attitudes have a ripple effect around the rest of the world. “California is such a big player, we can set the new norms for business compliance and for consumer demands,” Aflalo says. What’s more, the state’s pioneering startup culture creates an environment that encourages would-be sustainable fashion designers to take risks. “There’s a huge entrepreneurial spirit here, so people catch the wave and seek the opportunities,” says Mckillian. She notes that, in LA at least, there are now tons of networking events and resources that encourage both new and established fashion brands to explore more sustainable sourcing and production. Oh, and then there’s the fact that Los Angeles has a thriving garment district that Mckillian says is more accessible to newcomers than ones in bigger cities like New York. Being able to manufacture close to home helps companies offset or reduce their carbon footprint. That said, doing so comes with its own challenges. “Production and manufacturing aren’t the most sustainable [in LA]—labor is so expensive it doesn’t make it easy for people to buy new machinery,” says Nodarse. “You see many more international factories that are sustainable.” Mckillian adds that sweatshops still exist downtown, and that there’s a “very small percentage… of individuals and family-owned factories dedicated to making sure their workers are getting paid fair wages in good working conditions.” So California’s sustainable brands either turn to these few players, outsource their production elsewhere, or—in the case of Reformation, at least—open a factory of their own that operates on eco-friendly manufacturing practices and technologies. You can also schedule a factory tour to meet the people who sewed your python-print miniskirt firsthand. While it seems great on the surface that so many new entrants are flooding the ethical and eco-friendly fashion market, there’s one downside: Greenwashing has become a huge problem. (Translation: When a company claims to be “green,” but it’s not really walking the walk.) “The lack of regulation makes it really difficult—companies can just go out there and say whatever,” says Nodarse. He’s currently putting together an organization that’s aiming to set standards around the “sustainable” label, and he says there are a few documentaries in the works that will shed light on the issue. In the meantime, he says, it’s important to seek out transparency—for instance, look for brands that tout their use of organic or Better Cotton Initiative-certified cottons (as many cotton suppliers rely on high levels of pesticides and child labor). You can also seek out labels that avoid petroleum-derived fibers, such as nylon or polyester, as they’re produced with large amounts of water, energy, and chemicals. Many highly sustainable brands also have audit reports on their websites, Nodarse adds, which outline exactly what they’re doing to invest in their people and create healthier products. “At the end of the day, the customer has to look and see what they’re doing,” he says. Or you could seek out a retailer like Galerie.LA (located in Downtown’s The Row shopping center), which will do all of that work for you. Mckillian personally investigates each brand she carries to verify its sustainability claims. “Decoding every brand’s message is something that takes time,” says Mckillian, a former stylist who toured with the Black Eyed Peas and Lil’ Wayne. To make it super user-friendly for shoppers, she created a badge system for each garment that signifies whether it’s, say, vegan, made from recycled materials, or handmade by artisans. “Once you have the badges, we just say ‘shop your values’,” she says. “For some people, they say ‘I can only wear organic and natural materials.’ Some people just want to shop local brands. We’re making it easy to digest and shop that way without all the research.” Oh, and everything she carries has to be something she’d personally wear or put on a celebrity client, so you know it’s gonna be fire. What’s next for sustainable fashion? As for retail, Mckillan’s looking forward to seeing how technology helps make sustainable fashion more accessible. “There’s a startup called For Days where you can buy T-shirts from recycled materials, turn in the ones you aren’t wearing anymore, and they’ll send you brand-new ones [at a discount],” she says, adding that anything you send back will go on to be recycled. “It’s turning a zero-waste method into a sustainable business model.” For her part, she’s seeking to grow Galerie.LA into a sustainable department store on par with Barney’s, adding men’s, children’s, and beauty lines in the future. Ultimately, the more we demand cruelty-free, ethical, and environmentally-friendly fashion, the stronger the industry will become. And a growing contingent of shoppers is doing just that every day, according to Mckillian. “The people who come into our store usually aren’t seeking out sustainability specifically,” she says. “But once they’re educated about it, they’re like ‘I only want to shop this way now!’ It’s like a lightbulb goes on.” An energy-saving LED lightbulb, of course. Check out a few more of our favorite sustainable fashion brands—and don’t forget about your gym wardrobe! APL just dropped a new low-waste sneaker that’s as cool as it is conscious.